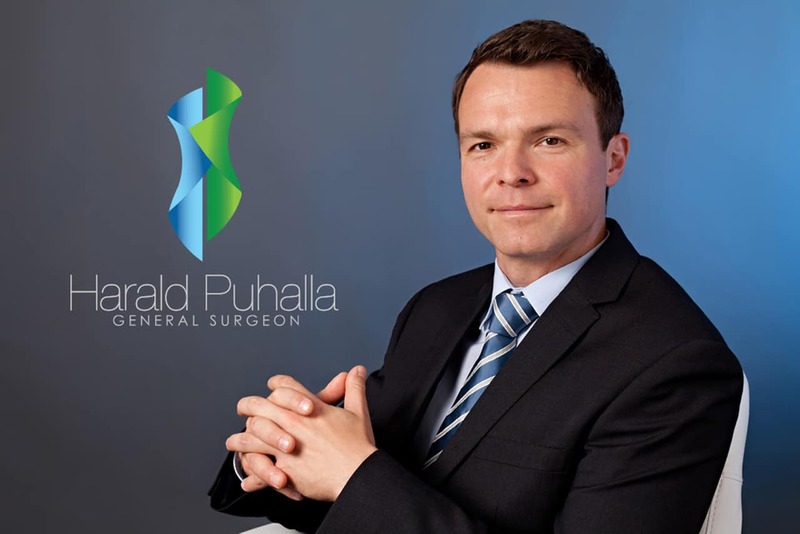 Dr Harald Puhalla is a general, abdominal and weight loss surgeon operating on Queensland’s Gold Coast. 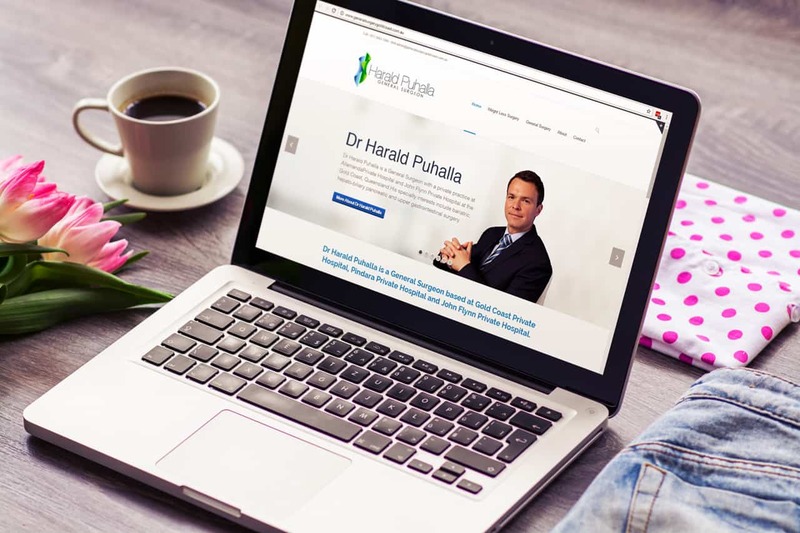 He asked us to reflect his standard of care as a doctor and surgeon in his logo. 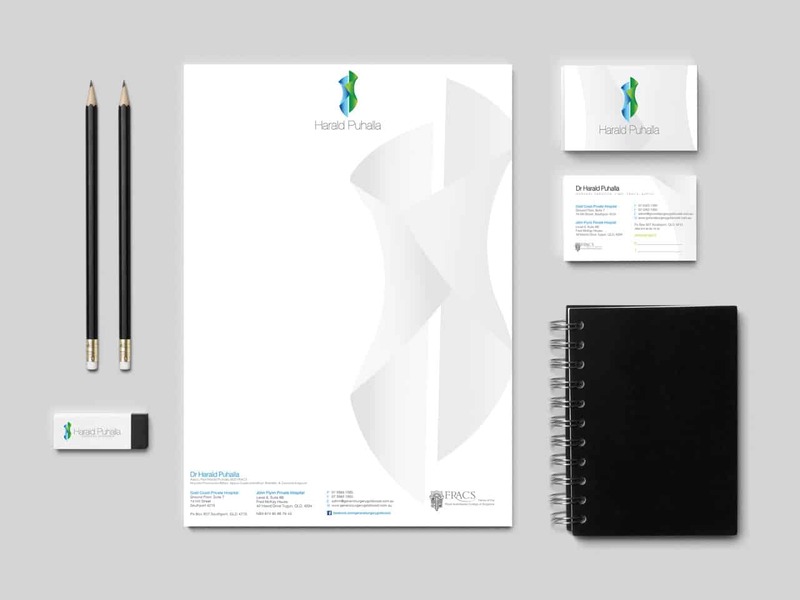 He asked for an elegant logo that would be a symbol of hope, encouragement and reassurance for patients. The result is simple and attractive, and carries significant subliminal meaning. Two abstract figure are held in a light embrace, in complementary calming shades of blues and greens. Their combined shape carries a slight reference to “H” (for Dr Harald), as well as a reference to the aspirational shape of a human torso. There’s a hug: they ‘wrap’ in a symbol of an enveloping and caring cocoon. 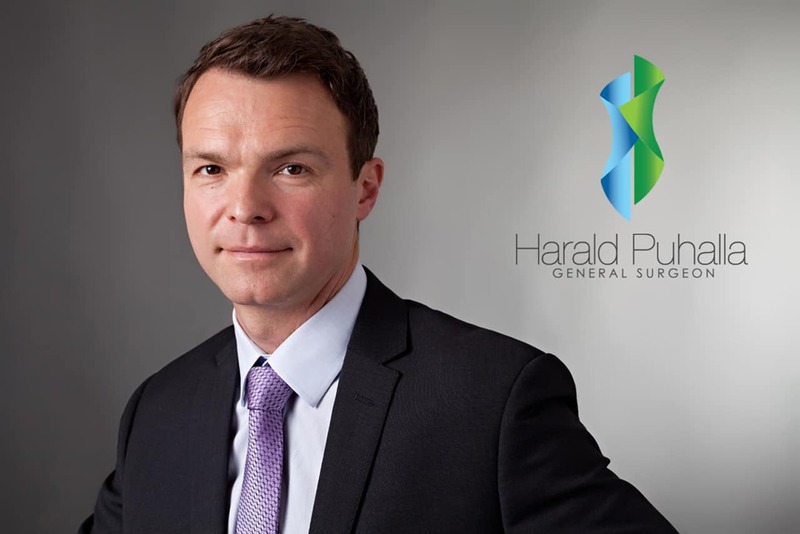 In working to achieve consistently excellent results, Harald plans and prepares thoroughly for each surgery. This was the final piece of the puzzle for our design: the surgeon’s skill and precision crafted to meet the patient’s unique condition and needs. It’s a delicate, precise balance designed to achieve optimum health and quality of life for each patient.